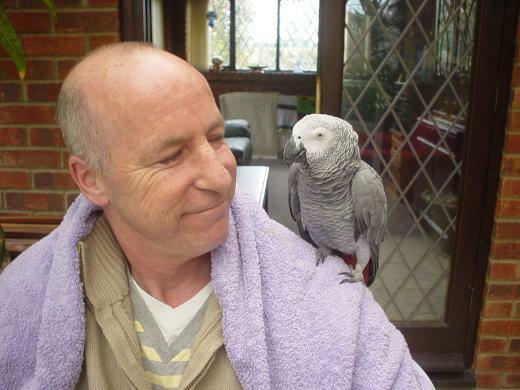 LOST & FOUND PARROTS AND ALL OTHER PET CAGED BIRDS IN NORFOLK & SUFFOLK. This page was set up September 14th 2014 and is designed to be a point of contact for all lost and found pet cage birds including Parrots, Macaws, Parakeets, canary's, Budgies, finches etc for the Norfolk and Suffolk areas. We have taken in and reunited several birds with their owners since we started foxy lodge and when we lost one of our own African greys last year we realised that there is no one in this area who offers this service. We did however get him back 4 days later through putting up posters, contacting the local vets, the local police and the local radio station. The police and the posters combined in him being returned to us. So if you lose or find a pet bird give us a call on 01493 384237 and we will help you as best we can. We will have facilities to house lost birds until the owner is found and if you have lost a bird we will put thedetails of any found birds on this page. We will with hold certain details of found birds to ensure the bird is reunited with its true owner. FOUND BIRDS........ 2 BUDGIES FOUND IN WEYBREAD NEAR HARLESTON NORFOLK ON FRIDAY 12TH DECEMBER 2014. VERY TAME. BOTH ARE DIFFERENT COLOURS WHICH YOU WILL NEED TO STATE DURING ANY ENQUIRY. LOST BIRDS.......... EUROPEAN EAGLE OWL LOST ON MONDAY 26TH JANUARY 2015 IN THE WINTERTON AREA. THIS IS A VERY LARGE OWL BUT HAS BEEN BOUGHT UP FROM A CHICK AND IS VERY FRIENDLY. HIS NAME IS ANGUS AND IF CALLED WILL FLY TO YOU. REWARD OFFERED.